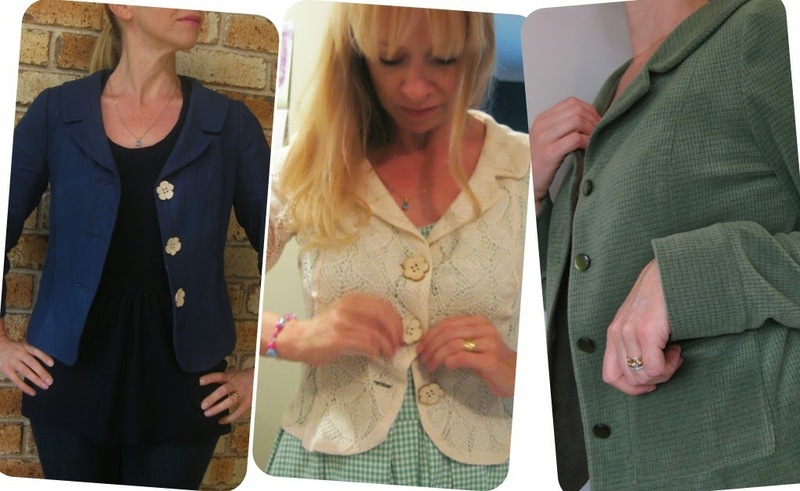 Kwik Sew 3334 – 3 Jackets – Linen, Lace and Velour. Mmmm, velour. I’ve been suffering severe blogging burnout of late. I haven’t been motivated to post but have been sewing continuously and have made several dresses and also three versions of Kwik Sew 3334, which I decided to post up today. 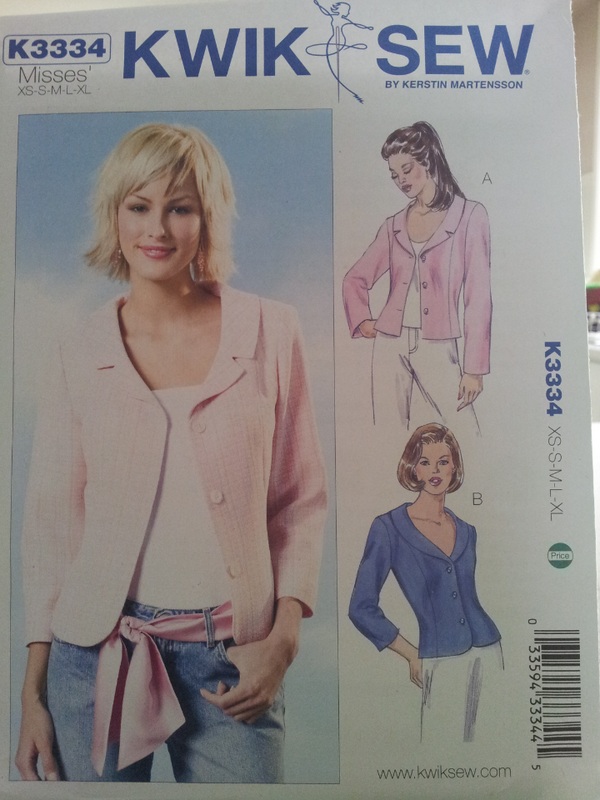 Kwik Sew 3334 is a nice fitted jacket, unlined, with two shawl collar options. I made the “fake notched collar” option for all three versions. I prefer a “real” notched collar but this is a really easy cheaters version and is very fast to sew. Linen. I hand dyed this linen in my favourite navy blue and then underlined in silk organza to reduce wrinkling and give the lightweight linen a bit more body. I then lined in a nice japanese cotton lawn from stash. The pattern does not include a lining so I drafted my own using this tutorial and this one and this great one for getting a professional finish on that tricky corner that I learnt when I made my Jackie Jacket. I made a size small (it goes to an extra small and the sizing is generous but not excessive, if that makes sense). For adjustments I did the usual small, narrow, sloping forward shoulder adjustment, graded out to medium at hips, plus a slight small bust adjustment (so easy on princess seams). I also shaved a bit of width from centre back seam at neck grading to nothing at waist (essentially taking out the upper back curve which I don’t need). Sewing pattern review is here. I noted that despite taking a fair wedge from the centre back neck the collar still fit perfectly, which seems to me that the collar would have been too small otherwise. I found this on all three versions so perhaps that is something to note. Lace. I have a lace jacket I wear constantly but it showing the signs of old age so I used this stretch lace from fabric.com to make up a spring jacket version. I only had a yard so that is why the sleeves are elbow length but the length is actually great. I sewed a size down to account for the stretch (an extra small) and ended up triming a fair bit off the sleeve width and side seams when I sewed it up. I love this version and wear it constantly. Love it. The dress I am wearing with it I might get around to blogging but it is Simplicity 1873 in a vintage gingham and I love it too. Sewing pattern review is here. Velour. This is a very snuggly fleece from Spotlight that has a nice texture that makes it look a bit velvet-like. I lengthened the size small an inch (to the medium length) and made the straight front version instead of the curved front and otherwise made it up as per the same adjustments to the linen, with a little more taken off the back armsyce. And I added simple patch pockets and cuffs to lengthen the sleeves. It feels like a track suit but looks like a jacket.